An exciting new website of political and world issues has emerged, with a special edition targeted at Australian readers. Their tagline is ‘Academic rigour, journalistic flair’. 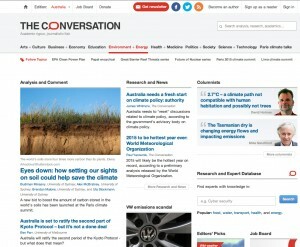 Check it out at https://theconversation.com/au. This entry was posted in Media on December 1, 2015 by Hydesmith.